Though administrators are tasked with helping to guide institutions through increasingly complex and challenging times, colleges and universities do minimal work in helping to train and develop their future leaders with the skills they will need to succeed. In a recent article published by The EvoLLLution on public-private partnerships, I highlighted the economic and political imperatives that drive the complex nature of higher education today and introduced a paradigm of management reform with a contemporary focus on efficiency and quality by conceptualizing Public-Private Partnerships (P3). 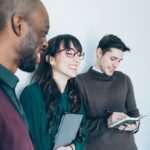 The article covered key do’s and don’ts but it failed to provide one main ingredient for a successful partnership—indeed an element that continues to plague higher education—leadership. Thus, for the purpose of this article, the lack of leadership development in higher education will be discussed as a structural or institutional gap. The word “plague” in reference to leadership in the previous paragraph was chosen because of its insidious nature to infect and spread, while typically commencing in one area or individual. However, most importantly, when detected early, a plague is often treatable or at least manageable. This article will not focus on specific traits of successful leaders, which is discussed in a plethora of books and articles, but instead the focus will be on how to build and enhance good leaders in higher education. What is good leadership? Although our definition is not new or without bias, we believe a good leader is an individual who can establish a values-oriented vision and mission that promotes the success of others and their institution. The leader’s decisions are noble, placing the success of others (i.e. community) as a guiding principle. This level of leadership is not driven by blind devotion to the institution or by ego and ambition, but is instead guided by responsible stewardship while considering the needs and particular limitations of the institution. As graduate students and assistant professors, much of the guidance that is provided in faculty development is along the lines of “publish as early as possible and develop a research agenda that could garnish external funding.” This advice provides an opportunity to secure a tenure position and establish a roadmap to promotion but does little to prepare the faculty member to lead a department or transition into an administrative role effectively. Although, I have questioned many times the drive and focus on individuality that exists in higher education, I’ve been fortunate to have great mentors and an early introduction to leadership while serving in the United States Marine Corps. The experience has led me to embrace a leadership code that seeks to develop an open and collaborative environment, which fosters empowerment, professional development, and inclusion. In the Marine Corps an effective leader listens first, asks critical questions second, and lastly, provides thoughtful suggestions that promote a clear direction to achieve a mission. Great leaders (as opposed to good leaders) accomplish this by embracing and promoting institutional values and creating an institution-centered approach. To ensure individual and team success, they engage in clear, concise and thoughtful communication, which promotes collaboration to articulate and carry out solutions. Effective communication allows for transparency, relationship building and a sense of direction. The question remains; how do we develop leaders among us? Higher education leadership is multidimensional and complex, requiring an exploration through a systemic lens. A perspective that takes into account the intersection of relationships with regard to family, research, students, local communities, athletics, alumni, parents, media, public officials, faculty and global interests. Department chairs, deans, vice presidents and presidents alike have been hijacked by the occupational high tempo thus leaving them little time for professional development or to be mentors/mentees. This fast pace, combined with the aforementioned traditional values that have been historically summarized as “publish or perish,” have provided the perfect storm for universities to fall short of developing leadership curricula and fellowships to build and support future academic leaders. 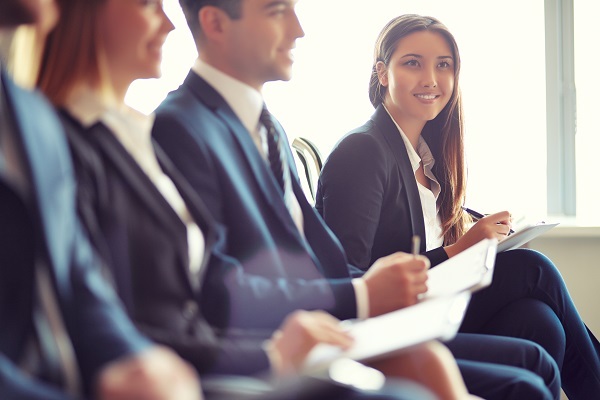 Although there are leadership programs provided by various entities, each program varies in cost, theme and time commitment and care should be taken to ensure that the content is at the appropriate level for the prospective leader candidate. At the risk of over disclosing, I confess that besides being indoctrinated by Marine Corps leadership values, I too am a product of Harvard’s Management Development Program, Berkley’s Executive Leadership Academy, and most recently, the American Council on Education (ACE) Fellows Program. Each of the above mentioned programs are unique and have provided an opportunity to further explore the complexity of higher education leadership while examining my understanding of what it takes to be an effective leader in today’s changing educational environment. While I respect, refer to and shamelessly promote the programs mentioned, we believe that leadership development must begin early and from within the institution, leaving the more advanced programs for senior-level faculty and administrators. Ensure faculty have a buy-out from teaching load (i.e., course release) and committee responsibility for the duration of the program while not affecting their annual performance reviews. By instilling early the underpinnings associated with the values of leadership and the key topics for navigating the institutional culture, we can directly impact the future of higher education. The objective is to develop leaders who share the values of respect, community, professional development, and responsible stewardship, while seeking to promote others to lead and achieve success. In other words, a mindful leader who embraces collaboration and inclusiveness. An early introduction of leadership may increase faculty desire to become mentors and mentees while promoting others to challenge themselves to leadership positions within and outside of the institution. 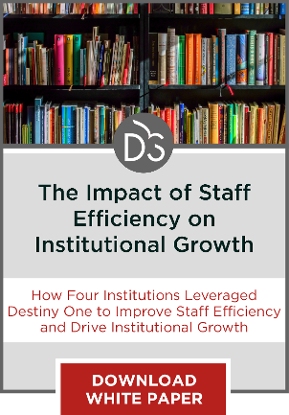 At the very least, faculty will be better informed on the elements of an effectively led institution, and then be able to advocate for organizational change and understand leadership from a systems perspective. This all sounds great, but incredibly resource-heavy. There are a lot of institutions that just don’t have the money to devote to this kind of in-depth faculty development. I agree that more leadership development is necessary, but we might have to start a little smaller if we want to introduce more widespread adoption of faculty development practices. I think it’s just about opening up the possibility of pulling future institutional leaders from faculty pools early on and making young faculty aware of that particular path. Not everyone will want to take advantage of those opportunities, but making them available to those who do is an important step toward preparing for the future. A greater focus on different pathways for faculty could also go a long way toward changing the publish-or-perish culture and provide different ways for faculty to make use of their skills to the benefit of students and the university. Continued pigeon-holing of faculty doesn’t serve anyone.